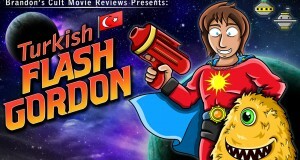 Time for a Turkified take on one of the original comic-strip heroes with "Turkish Flash Gordon" (1967), where Flash conquers the universe using a laser shooting bra! 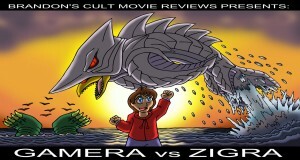 It's part 7 of the Gamera-A-Thon with "Gamera vs. Zigra" (1971), where Gamera battles an alien shark monster, gratuitous Sea World footage and financial insolvency! 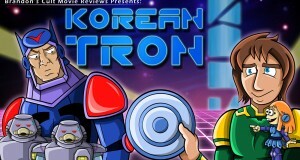 It’s my first animated movie of 2016 with the Tron knock-off “Korean Tron” (1983)! It may not have light-cycles, but it DOES have a horny robot doll!